I’ve read and reviewed quite a few books by Paul Kater now and this was one of the books I was really fortunate to get to read an advanced copy of the story. The book is finally here. I’ve mentioned this particular book a couple of times and that it was coming as it’s set in Bristol, at the University about 5-10 years before the first events of Sherdan’s Prophecy, and fans of my Sherdan series will be pleased to know the gorgeous Dr Sherdan Harper does make a cameo in this story. The story itself is an amazing combination between a fairly typical sci-fi and a gorgeous romance between the two main characters. The Sci-fi part is epic, and encompasses all sorts of interesting, subtle plot lines, and combined with the love interest makes for one awesome ride. Over the course of the story a good couple of years passes, but the narrative handles the jumps well and helps make the life decisions more believable. I’m not used to a story spanning so much time but I’m definitely not complaining. When I reached the end I definitely wanted to know more. Seriously hope there’s a sequel to this one. Yup, that’s right there’s three freebies you can pick up that I want to tell you about (actually there’s four but End of the Road has been free for a while now). The first is only free for a few days. 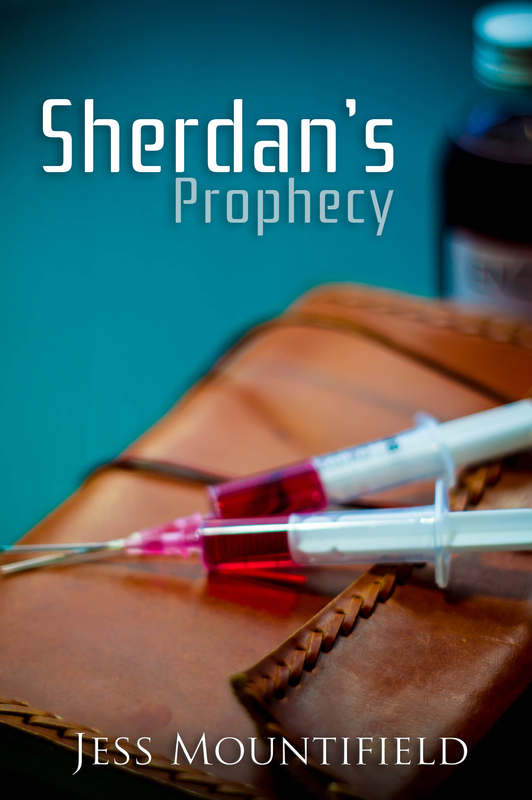 Sherdan’s Prophecy in kindle format is available free on all good Amazon sites until close of day Sunday. If you’ve not yet tried my sci-fi, it’s a good start to the genre and quite different to my historical novels, although there’s plenty of action still. Also free of mine and in need of some help making it free on amazon is Wandering to Belong on Smashwords, Apple, Nook and many other places. If people would like to see it free on Amazon they should report the Apple link to them under there report a lower price section. This is another great introduction to my fantasy genre and all the tales I’ve got written in the same world. 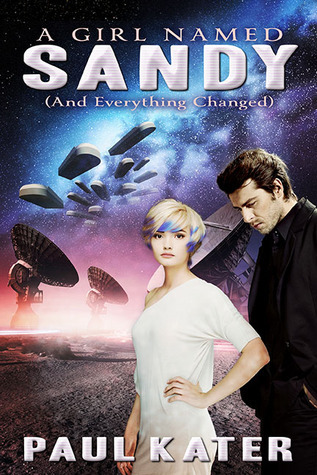 Finally, my most recent release is a sci-fi story set in space and is one of the stories featured in the Kiss anthology, also currently going through the process of being price-matched, but you can grab a free copy on Smashwords. My story is the last one in the anthology but don’t just skip to the end. There’s a lot of great stories in there from some authors I love. I want to start by saying that I’m not hugely fond of this cover and I think it’s where the book lets itself down the most. Unfortunately it wouldn’t have made me buy it, but it could be worse. The guy is rather cute though. For the YA genre the characters are spot on and I could imagine myself being just like Rebecca when I was that age (I too had a step-brother). My only niggle was I thought Rebecca forgave a little too quickly. I won’t say who she forgave and why she needed to but it felt a teensy bit out of character to be reconciled quite so quickly. it was a minor niggle though. The storyline was a fairly typical YA romance so no disappointments there. It played it safe but it did it well so I was content to go along with the flow. I really enjoyed the pacing and smoothness of the book. For me it was spot on the balance between action, description and emotions. Again, nothing totally special, but yet also special, because I never felt jarred out of anything. It just kept rolling along nicely. Definitely the strength of the book. I was absorbed and just kept reading. I don’t think I noticed a single mistake the entire book but the formatting for the indent at the start of each paragraph was a little kooky. I think spaces were used rather than the indent feature and it was a little odd sometimes, but my eyes got used to it eventually. In conclusion this is a great YA romance that will be a breeze to read and not overly tax the brain. Very satisfying ending and well written and edited. I definitely enjoyed it and will be on the look out for more by the author. 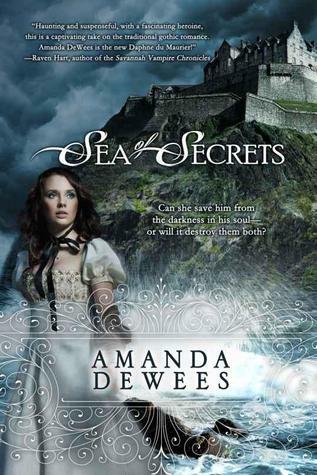 This book was given to me by the author, Amanda DeWees in return for an honest review. Historical books are a passion of mine and this one is no different. I loved the storyline and was hooked into the character’s life right from the beginning, feeling her pain and her excitement. The romance was interesting and I enjoyed taking the ride with the main character as she worked out what she felt towards her final choice. The plot wasn’t too complicated but it did keep me guessing and I didn’t expect the little twist at the end. One of the best books I’ve read this year. The eBook of this sequel to Sherdan’s Prophecy was published recently so I thought I’d share a chapter from it so you could have a read. If you’ve not read the first book yet you can do so on my blog here. Sleep was caught in snatches for Anya over the next few hours. Every hour or so someone looked in on her and woke her up. For some reason she was meant to stay alert, although no one else came to question her. Time was impossible to keep track of. Not a single person wore a watch and the room had no clock in it. They had taken her mobile phone when they brought her there but even if they hadn’t the handcuffs would have prevented her from looking at it. Her only hope of keeping track of time was counting the number of times someone came to check on her and assuming it was a scheduled disturbance. The same person only bothered her a few times in a row so it seemed like it might be a regular thing. Her tenth visit revealed Mr Jeffreys again. He had both the folder and recorder with him this time. “My, my, aren’t we serious, my file and proper documentation of what I say.” She sat down on the chair again, expecting she would be asked if she didn’t. “Look, no one wants to charge you with anything. You’re not the kind of person who we feel is a major threat but we do want to make sure we know what we’re dealing with. We’re just asking for some information. As soon as we have everything we need you will be returned home,” he said. She laughed and stuck her feet up on the table again, narrowly missing the papers. Mr Jeffreys reached forward and switched the recorder off. “Well, if you care so much about my happy life I suggest you go fetch that lawyer now.” Anya got up and walked off to sit down with her back to the table. She heard the scrape of the chair and a little while later the opening and closing of the door. Repeating the same request for a lawyer over and over again was getting boring for her and she wondered if it was for them too. As soon as she was sure she had been left alone she swivelled around so she could see the rest of the room again and tried to get some more sleep. Power napping would have to keep her going until something changed. The rest of the day was a blur of attempted interviews with Mr Jeffreys. He wouldn’t tell her anything about where she was and she wouldn’t answer his questions, insisting on having a lawyer. By the time the day had drawn to another close and she could rest again she was feeling very hungry. There had been plenty of water brought to her but no food at all. No one offered her any and she didn’t ask. Instead she focused on God and prayer. If she was fasting, even if involuntarily, she might as well make the most of it. Night came and went, although the only reason she knew it was not day was the lack of interrogations and the regular waking from the other people on duty. Despite the lack of food and the very broken sleep she felt fine the following day. She had been working hard over the last few weeks and actually stopping and resting had made her feel less stressed. Anya was thanking God for this when someone completely new came in to talk to her. She watched the grey haired man walk over to the table and pull a chair out. After looking at her he motioned for her to sit on it and waited. At first she just stared at him but he met her gaze and held it for some minutes. She grinned at the boldness of this new person and decided to see what he had to say. Once she had sat down he even helped her tuck the chair in. He then poured her a drink, added a straw so she wouldn’t need her hands and sat down opposite. “Good morning.” She took a gulp from the water, pleased her voice worked after being unused all night. He clasped his hands together on the desk and sat waiting, but she couldn’t figure out what for. When she raised her eyebrow and he still did nothing she assumed he must be waiting for her. “Good. I may well be an artist but that’s not full blown psycho territory.” Surprisingly, he chuckled at this statement. “Yup, born and bred a Jesus Freak.” She grinned again. Having a psychiatrist sat opposite her had tickled her somewhat and coupled with the rebellious attitude she’d felt like, so far it was having interesting results. So much so she was talking without really thinking. “Like being held a prisoner in another country?” he asked. Mr Schmidt put down his paper, pen and took his spectacles off, also laying them down on the table. Mr Schmidt left her alone and oddly no one came to see her at all for the rest of the day. No food or water came and no one checked up on her. After a few hours she settled down to get some sleep but found she couldn’t. Before sleeping she always said a prayer of thanks to God, for whatever she thought she had to be thankful of that day, and she found as soon as she started talking to God that she felt wide awake. Instead of sleeping she paced the room, talking to Him and pondering over the conference she was missing. The people would have all flown in by now and be staying in the church’s accommodation. None of them would realise she had vanished until the meeting she was meant to lead and that was sometime this afternoon. She prayed that their journey wouldn’t be wasted and hoped they would all stick around so she could meet with them when she did get back. For the first time since being locked up she felt tempted to use her ability and escape. If she left in the next few minutes there was a chance she could get back in time to see everyone and do a later conference. As time went by, however, the idea faded from her mind. Using her ability and going back home would arouse suspicion and then take that attention right back to the people she was trying to help. Staying put would be best for now. When her legs grew tired she sat and rested but continued praying. Somehow she kept finding things to pray about, despite nothing changing in the immediate vicinity of her world. She remained in a cycle of pacing and resting for longer than she could estimate, until she saw and heard the door handle rattle. Despite the movement, the door didn’t open. After a few minutes she got up and walked towards it. She stood only four feet from it when it opened a crack and a head appeared around the edge. “Julie!” Anya rushed forward and squealed. Julie wrapped her up in a big hug, letting her see the others who had come to rescue her. Nathan stood there, as well as four other men she didn’t recognise. She smiled at them all. “Not yet, we’ll get them off in the car, we’ve got to hurry.” Nathan ushered her into the middle of the group. Anya smiled and jogged along, flanked by the bulky Utopian security guards. Her heart felt light. Sherdan had sent his men for her and that meant he still cared. They led her down many corridors, always checking if people were coming when they got to a junction or corner, but no one disturbed them. After several minutes of this process Nathan and Julie stopped. Everyone else ground to a halt behind them. After a brief pause Julie beckoned for them to follow her through the nearest door. As soon as they were all inside the store cupboard she shut the door as softly as she could. They huddled in silence as the sounds of footsteps came closer. The small room soon felt claustrophobic and hot as she had to stand stock still to avoid awkward contact with the men around her; a task made more difficult by the handcuffs still holding her hands behind her back. She wished Nathan had removed them already so she could rub the aches out. To try and keep quiet she inhaled her breath and held it, counting past the seconds and listening to any and all sounds from outside as the person came closer and closer. Just as Anya thought she could stay silent no longer the sounds receded down the corridor, the way they had come. After a few more minutes Julie opened the door and everyone hurriedly filed out. They led her to the elevator and strapped a harness around her waist. She nodded and gulped. Her harness was attached to Nathan’s so she hung below him and he climbed up the rope first, using ascenders. “Use your feet to steady yourself against the sides and stop the spinning,” Nathan said when he noticed her flailing and twisting around. She did as he suggested and he pulled them both up the fifteen floors. All the other men came behind and then Julie last. They paused at the top before emerging from a hatch and packing away the equipment. Rather than going out the very obvious front door right by them Julie and Nathan led the group down another intricate maze of corridors, many of which were dark and empty. Whenever it got too dark to see well enough, one of the extra men lifted a hand and a faint glow emanated from it, lighting the way for everyone. Eventually they halted outside a fire door. Another of Anya’s guards crept forward and after fiddling with something she couldn’t see for a moment they pushed the door open. There was a pause as Julie listened for something. “All clear.” She led them out the door and down a dark alleyway. Right near the end, two of the men pulled on black masks and rushed off into the night. “What are we waiting for?” Anya whispered in Nathan’s ear. She stayed right by him while they waited, shivering in the cold air. As soon as he noticed her reaction to being outside he shrugged off his jacket and wrapped it around her. She muttered her thank you and moved even further behind him to use his body to block the wind that whistled past them down the alley. The cars weren’t long in pulling part way up the alley, one after the other. Right away she felt Nathan’s hand on the small of her back, guiding her towards the back of the nearest car. He opened the door for her, helped her inside and followed after her. As soon as every door was shut the cars reversed back out of the alley and set off towards home. She turned so he could access her hands and waited as he pulled out an odd looking instrument and picked the lock. “These are much easier than those room doors,” he said as the cuffs slide open, only a few seconds later. She rubbed her wrists to try and stir some life back into them. They hurt as blood reached the places that had been restricted, but it was a bearable pain and she knew it would soon fade. “So, is Sherdan here somewhere or are we meeting him in Utopia?” Anya’s eyes lit up with the idea of seeing him after so long. “Except take me to Sherdan.” Anya didn’t phrase it like a question. She knew it wasn’t Nathan’s fault Sherdan didn’t want to see her but it felt like all her relief from being rescued and crushed it under the weight of a thousand elephants. “Does he hate me, Nathan?” She asked a few minutes later. If you enjoyed that and want to read more, the book is on Amazon.com, Amazon.co.uk and all the other Amazon eBook stores. This is one of my special characters. I love all my characters but a few always stick out in my head and this is one of those. He’s my first male leading character and although he’s far from perfect he’s still one of my favs. I have two books out with him in now and I’m putting together the plot for a third, which feels kinda nice. I really like writing sequels. I suspect I’ll get bored of the characters eventually but for now starting a sequel feels a lot like visiting old friends. I just pick up where I left off. 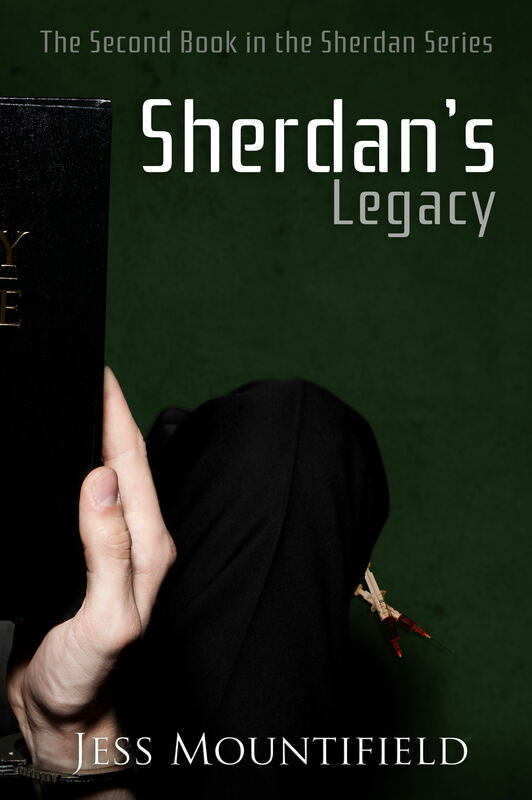 Sherdan comes across as a complete meglomaniac at the start of the first book. He doesn’t care who gets hurt in his quest for the greater good. Has people tortured on almost a whim and is more than happy to bribe people or even blackmail them to get what he wants. He also even plays God a little with his enzyme and the people he gives it to. Despite all that though, there is a softer side, he just tries to push it aside, thinking it’s weaker. He’s a scientist who, until recently, bought into the idea that we evolve and life is purely survival of the fittest. Compassion, love and mercy are often considered to be weaknesses by people in those schools of thought. However, I love throwing my characters curveballs and seeing how they react. Sherdan soon falls in love, as all my MC’s often do. This is a really good thing for him and softens him in all the right ways. Through Anya he does also get challenged about the idea of a God and what that might look like as well, which is a new thing for him. Whatever he decides he believes in it starts making him think about what he’s doing and whether he wants the destination he’s heading towards. Overall Sherdan is one of those characters people love, despite all his many flaws and imperfections. You just can’t dislike him, even though you know you ought to. And no matter what he does I think he’ll always be one of my favourites. Maybe because he’s my first male lead. He’s just… rather special. This ia a romance novel by Anna J. McIntyre and don’t think it’s an erotica, it’s not. The romance was amazing and realistic enough to make me feel like it just might happen like that. It made me wish I had my very own cabin in a mountain to generate my very own happy ever after. The book is also fairly clean with a little bit of spice. The characters do end up in bed together but the description of it is brief without too much mention of the anatomy involved and soon moves on to the rest of the story, so if people are wary about that sort of thing you shouldn’t have too much of a problem with this book. Brilliant romance story and a great quick read to warm the heart. This is the first book out by the author L. M. May and I was gifted a copy in return for my honest review, so here’s my thoughts. This was one of those books I thought I’d like when reading the blurb and I was right. 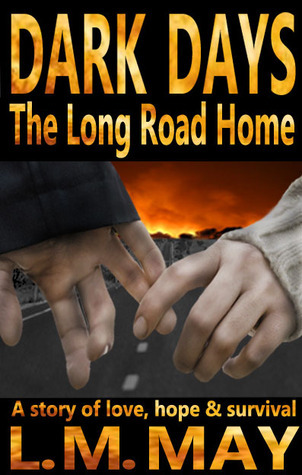 It’s standard end of the world fiction with a pretty good romance thrown in on top. The characters were all well fleshed out and I even fell in love with a few of the supporting characters the people met along the way and I really liked that this book focused on the little things humanity might do, the way people would feel and how things would deteriorate on a more personal level. Everything was shown through the little things people did rather than bigger things and I felt it made the book more personal and easy to relate too. There was a little bit of head hopping between the two main characters in the first few chapters which had me confused at a few points, but this soon sorted out and from then on in chapters stuck to a characters POV, so if anyone else gets bothered by that don’t give up on the book. All in all a good read. It’s left me wanting to know how long it took to actually sort things out (and had me researching the possible problems a similar siuation might have if it did actually happen today). I’ll definitely be picking up more books by this author. I was given this Young adult ebook by Susan Francis to review, so here’s what I think. 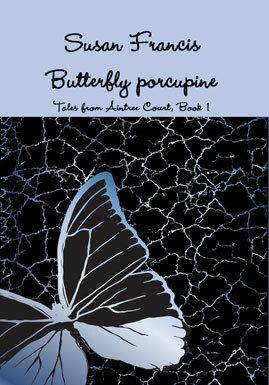 The book started off following Tasha as she got ready for her prom at the end of high school in Trinidad. It talked of them all saying goodbye and laid the groundwork of the book and the plot well. Tasha had decided to come to England to continue her education under her father’s roof and was saying goodbye to her mother, friends and brother to do so. I was intrigued right away, although I had one small moment of confusion when the dresses were talked about in terms of 1920’s and 1950’s and I had to try and work out when the book was set. The date’s made me think this might be a historical fiction book but it wasn’t, as I found out when the usual technology was mentioned. I really liked Tasha and her prickly personality as well as Kai and his extroverted nature. The two were wonderful opposites and as we all know opposites attract. On top of that I loved the way the estate they lived in worked. Aintree Court, being a closed off area where every neighbour is meant to look out for every other neighbour was the perfect example of good intentions not going quite right. I loved all the little quirks this brought to people’s behaviour and expectations and the way the upper middle class area looked down on anyone not part of their special ‘club’. I did have a few niggles with the book, however. Mostly, the ages of the children. Half the kids were doing AS levels, including Tasha but all of them were 17 before they started and had 18th birthday parties throughout the year and following summer holidays. It confused me at first because that’s a year too old. English children are normally 16 and have 17th birthdays in their first year doing A-levels. This confusions continued with the kids in the year above, all of them were 18 before they even started their second year. At that point English kids go off to University, even if they only turn 18 in the summer holidays before hand. It just kept me confused a lot of the time, trying to work out who was in what year. I was surprised when Kai went to high school with the others for example,. He’d turned 18 before the book started so I expected him to be off at Uni and the only birthdays that were mentioned all seemed to happen in the summer holiday too. My final niggle is actually the title. While it’s meant to describe the personality of Tasha, I didn’t get that until the last few pages and didn’t feel it entirely added to the sense of the book. It’s a YA romance book that I think would be served better by having a gender neutral title. The book was still good and the romance was very sweet but I got a little put off by the lack of research. I still think I’d check out the sequel, however, now that I know the author had everyone a year older for where they are meant to be. This was a blu-ray my husband and I picked up on our birthdays. we had requested it as the trailor had caught our attention and thought it looked like a cute and fun watch. 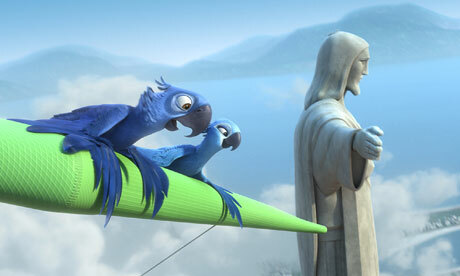 It’s about the last pair of blue Macaws and the specialist who wishes to breed them together. He approaches the owner of the male, a male which can’t fly and requests she brings her bird to Rio to mate with the female he is looking after. There’s a brilliant double romance in this, obviously between the two birds but also between the two owners. It’s quite typical cartoon romances but still cute and fun. I wasn’t expecting this film to be as funny as it turned out to be I have to admit. I laughed a lot even though I was working while watching and found I didn’t get any where near as much working done as I expected when I started watching. The plot was mostly predictable but it didn’t matter. It was entertaining enough and is actually a pretty good family film.